[145 Pagess Report] The people counting system market was valued at USD 621.2 Million in 2017 and is expected to reach USD 1,150.2 Million by 2023, at a CAGR of 10.6% during the forecast period. Factors such as the growing retail sector and increased adoption rate of people counting technologies, availability of low-cost and easy-to-set-up people counting solutions, and increasing need for people counting solutions in the transportation sector are driving the growth of this market. This report provides valuable insights regarding the ecosystem of this market, such as people counting system manufacturers, distributors, and consumers. The ecosystem of the people counting system market consists of manufacturers and vendors, such as Axis Communications AB (Sweden), HELLA Aglaia Mobile Vision GmbH (Germany), InfraRed Integrated Systems Ltd. (UK), RetailNext, Inc. (US), ShopperTrak (US), Eurotech S.p.A. (Italy), Axiomatic Technology Limited (UK), Countwise LLC (US), DILAX Intelcom GmbH (Germany), IEE S.A. (Luxembourg), Iris-GmbH (Germany), V-Count (Turkey), and Xovis AG (Switzerland). Company Profiles: Detailed analysis of the major companies present in the people counting system market. 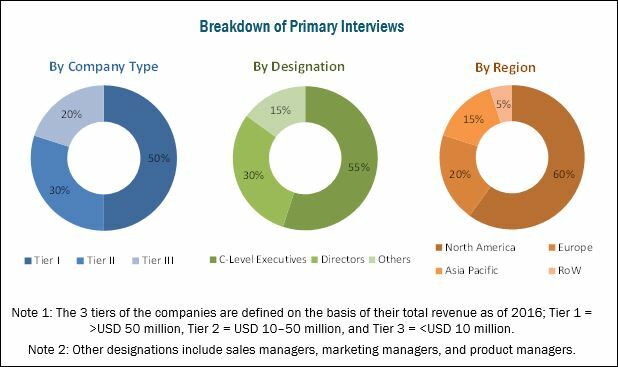 The people counting system market is projected to grow from USD 694.7 Million in 2018 to USD 1,150.2 Million by 2023, at a CAGR of 10.6% between 2018 and 2023. Factors such as the growing retail sector and increased adoption rate of people counting technologies, availability of low-cost and easy-to-set-up people counting solutions, and increasing need for people counting solutions in the transportation sector are expected to drive the growth of the people counting system market. Among end users, the retail stores, supermarkets, and shopping malls segment held the largest share of the people counting system market in 2017. The main driver for the growth of this segment’s market is the increasing importance and use of people counting technology in the constantly evolving retail market. Based on technology, the video-based technology is estimated to hold the largest market share in 2018, and this trend is expected to continue during the forecast period. The large share is attributed to advanced features of the video-based technology, such as the ability to differentiate between a child and an adult and between a person and an object, allowing more accuracy in high-volume traffic, and the ability to withstand changing environmental conditions. The people counting software market is expected to grow at a higher CAGR than the hardware market between 2018 and 2023. Software data helps business managers make knowledgeable business decisions. Software plays a crucial role in providing valuable insights and in helping businesses improve their offerings and accountabilities. In terms of the different geographic regions, North America held the largest market share in 2017 and is expected to grow at a moderate CAGR during the forecast period. The presence of some of the world’s largest retailers is one of the major factors driving the growth of the people counting system market in North America. In the APAC region, China accounted for the largest share of the people counting system market in 2017. Increasing urbanization, growing middle-class population, and changes in the spending habits of consumers have propelled the growth of the retail sector in APAC. This has led many players in the people counting system market to invest in this region as the retail sector is one of the major end users of people counting systems. Location inaccuracy and privacy concerns in Wi-Fi- and Bluetooth-based people counting technologies are factors restraining the growth of the people counting system market. Wi-Fi- and Bluetooth-based people counting solutions work by placing sensors at strategic points in a specified area. These sensors detect Wi-Fi or Bluetooth devices, such as mobile phones and tablets. Travel times, wait times, and movement patterns can be obtained by the devices using multiple sensors. Some retailers use Wi-Fi- and Bluetooth-based people counting solutions to count the number of people and their buying behavior in stores as well as to determine loyal customers and their buying patterns. 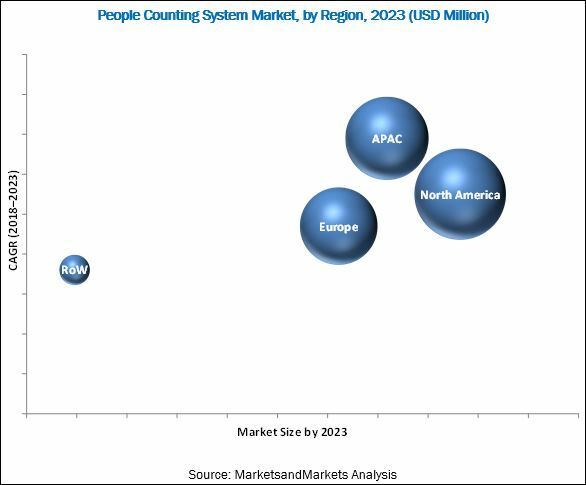 The major players in the people counting system market include Axis Communications AB (Sweden), HELLA Aglaia Mobile Vision GmbH (Germany), InfraRed Integrated Systems Ltd. (UK), RetailNext, Inc. (US), ShopperTrak (US), Eurotech S.p.A. (Italy), Axiomatic Technology Limited (UK), Countwise LLC (US), DILAX Intelcom GmbH (Germany), IEE S.A. (Luxembourg), Iris-GmbH (Germany), V-Count (Turkey), and Xovis AG (Switzerland). Most of the leading market players have followed the organic strategy of product launches to boost their revenues.